This is going to be the last section of the CAL. If you’d like the scarf to be longer you can just repeat any/all of the sections we’ve done. I will do a separate post on how to end your tunisian project. 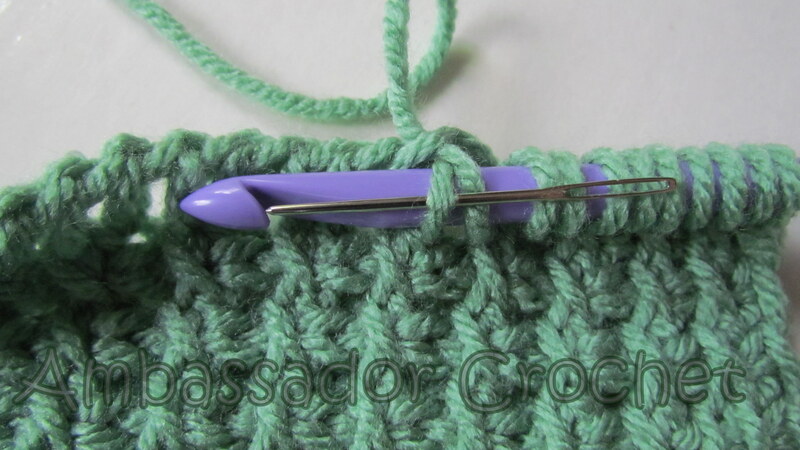 When you are done you will probably want to block your scarf so that all sections are exactly the same width. 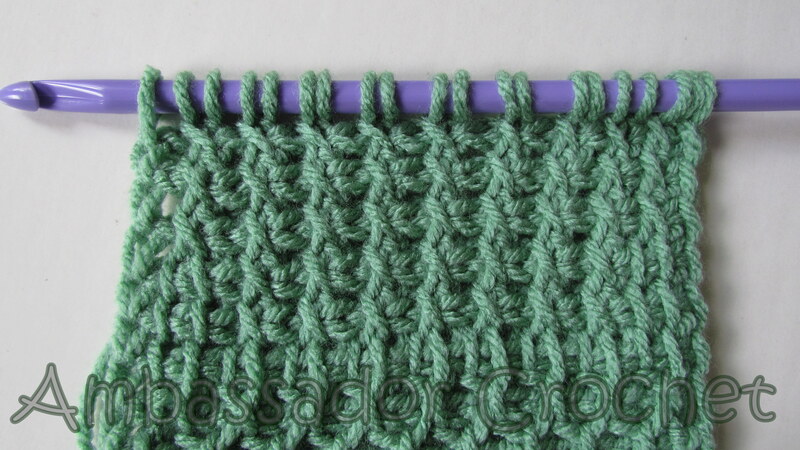 Here is a lattice pattern, which is made by crossing two stitches. I really like the look of this, and think it would make a great project on its own. 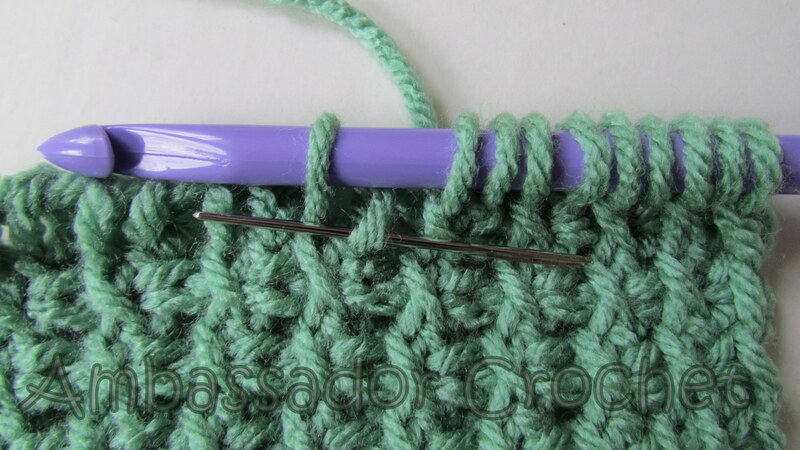 Row 129 – 139: Repeat Row 128. That is beautiful, Janet! I love the colors you chose. Thank you so much for the tunision stitches all condensed into the one place. Hope your knee is working as it should ….regards Connie Fisk. Thanks, Connie! My knee is not 100% (6 month recovery) but I’m doing much better!